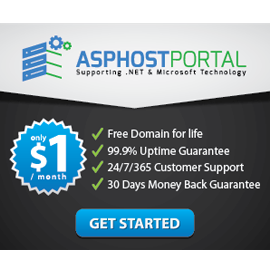 How did we choose the best Windows ASP.NET cloud hosting providers? Important qualifying factors like best asp.net and windows cloud hosting features, customer support and satisfaction, price factor, reliability, uptime statistics and technical support were taken into consideration. In recent months, we have found that Interserver.net is taken into the consideration of many people who are looking for Windows hosting. As we know, a reliable Windows hosting provider contributes to the success of websites. InterServer.net offers a wide variety of web hosting plans for a low price and beside this they also have a special plan built for your ASP.NET websites. Therefore, should you even think about hosting your site with InterServer.net? Are they the best choice for Windows hosting? You will find all the answers below, while we will review InterServer.net’s Windows hosting plan in this article. Why Interserver.net is The Best Windows ASP.NET Cloud Hosting Provider? By utilizing the latest servers and network infrastructure, InterServer.net guarantees hardware, network, and infrastructure uptime of 99.9%. They privately own their datacenter and equipment. Their team is always ready for 24×7 server monitoring service from the centralized network operation center. All kinds of server and network break are alerted immediately and automatically, then will be taken with the proper actions to get them resolved as soon as possible. They promise, if they ever fall short, you will get your money back. So, Is InterServer.net The Best Windows ASP.NET Cloud Hosting?